Sometimes I'm not sure which is which, though I still stand with the latter. In what is probably blatantly evident, I've fallen way behind with this ol' blog once more. My reasons why are unchanged- still finding it difficult to find the time to draft these doggone posts. Media tours, on the field gathering information for articles, conducting, and writing interviews have been just some of the assignments I'm tacklin which, quite often, leaves me coming home as late as 9 or 10. What I am grateful for though is that I'm thoroughly enjoying what I'm doing. Sure, it's exhausting and draining at times, but the experiences I'm having, people I'm meeting, and work that I'm accomplishing gives me pride and intrigue and leaving me still with high spirits. With my daily pattern being significantly restructured, I think it's become clear the focus of the blog needs a bit of alteration. Cooking, for example, unfortunately is something I have significantly less time for. Or at least major cooking projects and/or dishes beyond what I've already posted. I'll continue to post a few cooking recipes here and there when I've done anything worthwhile but sadly I anticipate my culinary adventures will feature less in the immediate future of this blog. But fret not as I'm continuing to not only explore the wonderful cuisine of Seoul and beyond so my reviews of noteworthy places will (hopefully) continue to post up regularly again. I have also decided though I'm going to relegate more efforts on putting up blog posts about some of Seoul's more unique sights, destinations, and activities. I've always had a bit of wanderlust even within Seoul and I try and explore and visit new destinations whenever I can. I've been even more fortunate since I started work to be able to visit some noteworthy and exceptional places that most visitors, or even residents, of Seoul don't know about. Examples include my posts on the make-your-own-lunch at Tongin Market or the Kalguksu and Bibimbap alley in Namdaemun Market. 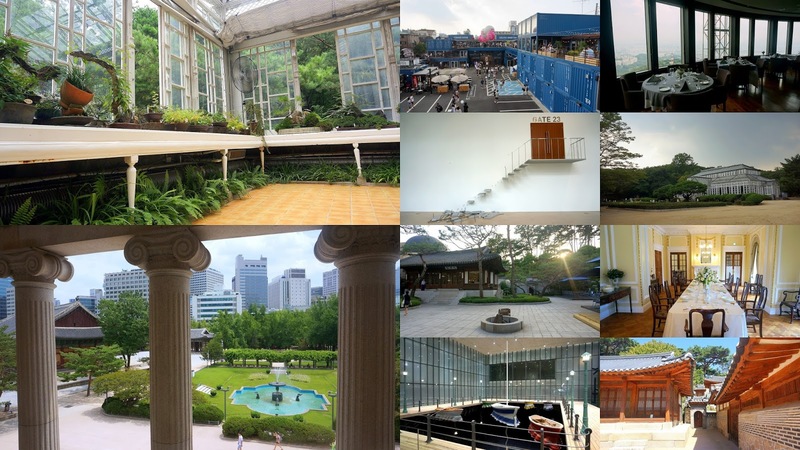 But these "hidden Seoul" posts won't necessarily be only food-related as I hope to introduce some lesser known sites in Seoul as well. So expect a bit of a shift in the blog as I try and introduce good eats AND promote this crazy city I love. Faster updates? Follow on Instagram!